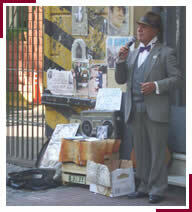 The charm of Buenos Aires for many tourists is the allure of the 48 districts, or neighbourhoods, known as barrios. There are many diverse neighbourhoods such as La Boca, an Italian neighbourhood with brightly painted houses, San Telmo with its flea markets and tango venues, and Palermo, filled with parks and many great restaurants and bars. Each district is highly individualised with its own characteristic colours and styles. 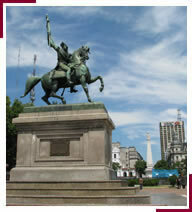 Buenos Aires has no defining monument that serves as a focal point. Instead it has many small details, events, and interactions, each with a different shade and character. Skyscrapers loom over 19th century Victorian houses, while tango dancers sway outside dusty antique shops. 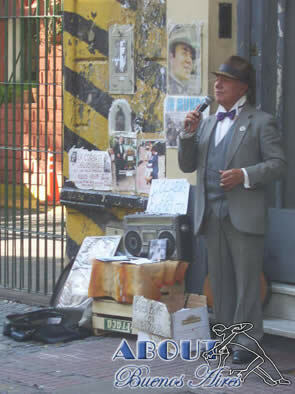 Below find a brief description of some of the most populated and visited barrios of Buenos Aires. The neighbourhoods of San Nicolás and Montserrat are collectively known as the microcentro. The center of Buenos Aires is the busiest quarter with close connections to tourist attractions such as the Obelisk, Avenida de Mayo, Plaza de Mayo, Florida Shopping Street, Congress, and Plaza San Martin. This area contains the business and financial district as well as many shops, restaurants, cinemas, parks, plazas, monuments and government buildings. Here, Eva Peron fans can visit the Casa Rosada in the Plaza de Mayo, from which Evita made many of her famous speeches. 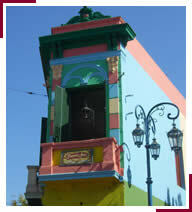 La Boca is located in the south-east of the city. A colourful neighbourhood full of European flavour, with brightly painted houses illustrating every colour of the rainbow. La Boca is the home of many Italian immigrants and their hastily erected tin houses which have now formed both a residential area and a tourist attraction. This neighbourhood is also known throughout the sporting world as the birthing place of one of South America’s best football clubs, the Boca Juniors. The use of colour and the general artistic tradition of this neighbourhood were heavily influenced by one of Argentina’s most famous artists, Benito Quinquela Martin. It was he who used his art as a form of political and social protest. 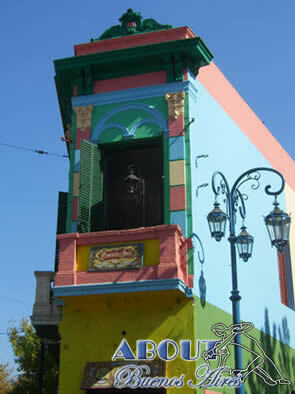 Other attractions in La Boca include the Museo de Cera wax museum and exhibitions organised by the Proa Foundation. 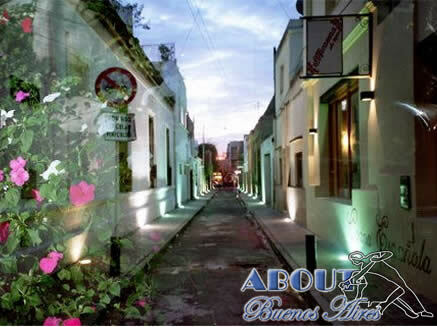 One of the oldest districts of Buenos Aires, this barrio is characterised by old colonial style houses and narrow cobbled lanes. San Telmo’s first settlers were fishermen and harbour workers due to its close proximity to Buenos Aires’ port. They were of varied European origin – Irish, Genoese, and “criollos” (a mixture of the Spanish and the people that inhabited the colony). 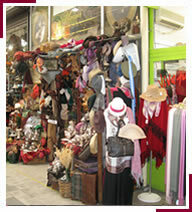 This area is also home to the San Telmo Market which is held daily in a huge wrought-iron hall where you can buy everything from fresh herbs to antique clothing. Take a wander through the streets at night-time and stumble upon couples tangoing in the Plaza Dorrego. On Sundays you can visit the famous flea market which has stall after stall of jewellery, antiques, handmade crafts and other items for sale. The Palermo district is the largest district in Buenos Aires, and is split up into many smaller subdivisions: Palermo Viejo, Palermo Soho, Palermo Chico, Palermo Hollywood, Las Cañitas, Villa Freud and Alto Palermo, with each subdivision having its own charm and character. 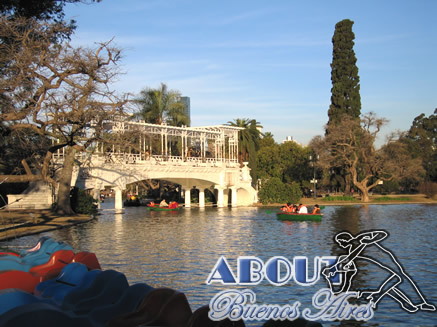 Palermo is the home of el Parque Tres de Febrero, also known as Bosques de Palermo which has a rose garden, Andalusian courtyard, massive artificial lake, and beautiful landscaped promenades. 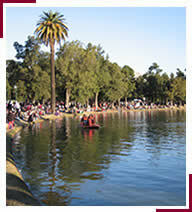 Nearby is also the Buenos Aires Zoo, and the lovely Botanical Gardens. This is an elegant district defined by its famous cemetery which is the home to many former Presidents, Eva Peron and other dignitaries. It was named after the Convento de los Recoletos Descalzos (The Monastery of the Barefoot Franciscan Recoleto Monks). La Recoleta is an affluent residential district with many squares, parks, cafes and galleries, carrying a typical French architecture style. Recoleta is also home to the famous Basilica Nuestra Senora Del Pilar church which attracts tourists from all over the world. 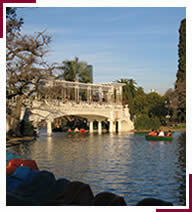 Other areas of interest include the Centro Cultural Recoleta, the “City of the Dead” and the Palais de Glace. 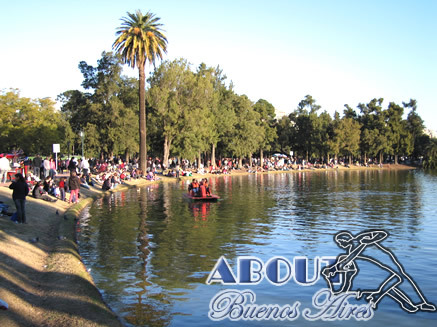 Retiro is an affluent district in Buenos Aires renowned mainly for its train and bus terminals, its high end shopping areas, and is a famous residential district for wealthy Argentines and executives. It is less commonly known as a tourist highlight and is more used as a transportation hub, with local and long distance trains along with buses leaving for all parts of Argentina. Across the street from the main terminal is the Plaza San Martin which is surrounded by many restaurants and hotels. The area also contains the Basilica Santisimo Sacramento and the Israeli embassy. Not too far away is Florida Street, the famous shopping area for those looking to pick up some great purchases while in the neighborhood. Belgrano is a distinguished residential district and one of the upper middle class neighborhoods located in Buenos Aires. 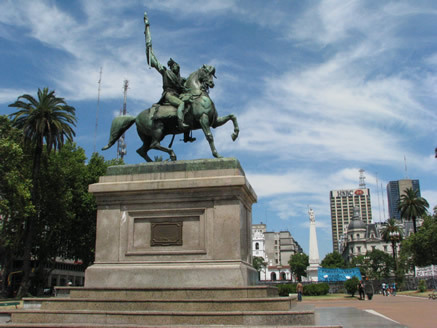 It was named after Manuel Belgrano, one of Argentina's forefathers. There are many shops in this area as well as restaurants, green open spaces and unique architecture throughout the area. The barrio of Palermo sits to the south east; Nuñez is to the north west; Coghlan, Villa Urquiza, Villa Ortúzar and Colegiales are to the south west. The "Barrancas de Belgrano" is one of the most prominent places in the district. Set on the former slopes of the riverbank it was designed by landscape artist Carlos Thays, creator of the Botanical Gardens. 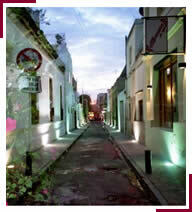 Barrancas de Belgrano spans several city blocks and is overlooked by highrise upper-middle class apartment buildings. Families closely related to the ruling class of Argentina inhabited the original town of Belgrano. Therefore, you will find important mansions, embassies, and petit - hotels throughout the area. Avenida Cabildo carries heavy automobile traffic, and features cute corner cafés, grocery stores, movie theaters, specialty shops, clothing boutiques, bookstores, and other retail venues. Pedestrians are especially numerous on weekend afternoons as Porteños (residents of Buenos Aires) from various areas of the city come to shop. Most of the neighborhood's densest housing is located in the vicinity of Cabildo. High-rise luxury apartment buildings are clustered on the leafy streets surrounding the Universidad de Belgrano, a private liberal-arts university.